Nefer by Roza Lingerie, soft cup bra with salmon pink floral lace trim. A magic colour combination, sultry and sophisticated black with pretty and feminine pink. This bra is also available as a push up style and there is a matching thong, brief and suspender belt for anyone who wishes to make a complete a complete lingerie set in this gorgeous design. 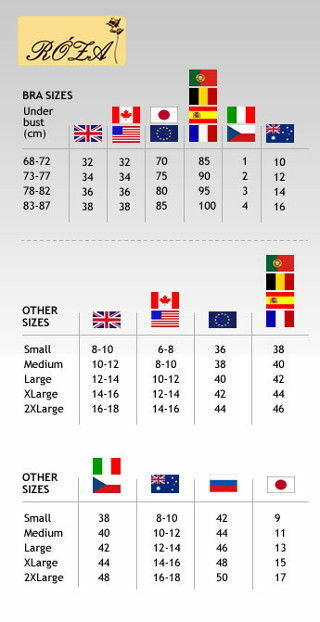 Compare international sizes for Roza Lingerie here. Materials: 85% Polyamide, 10% Elastane and 5% Cotton. Matching suspender belt, thong and brief also available. Supplied in a smart rigid box.